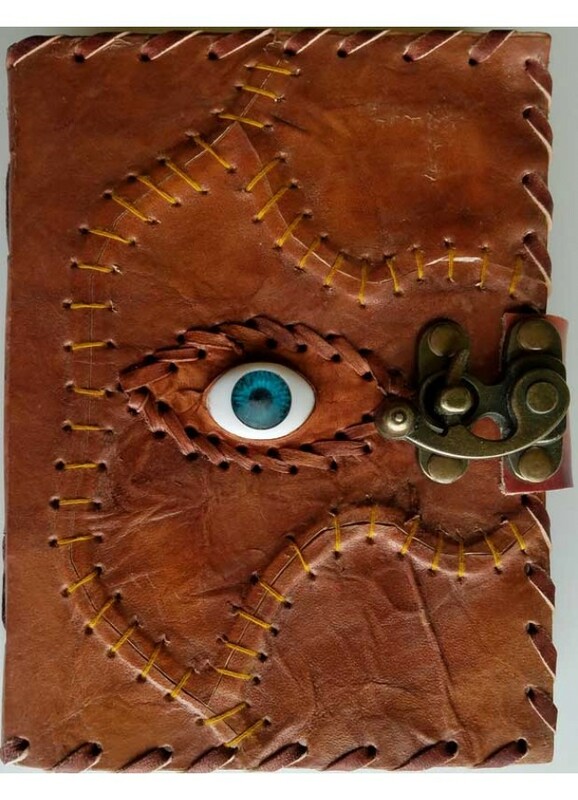 The All Knowing Eye knows and see everything in this slightly creepy leather blank book with stitched cover. 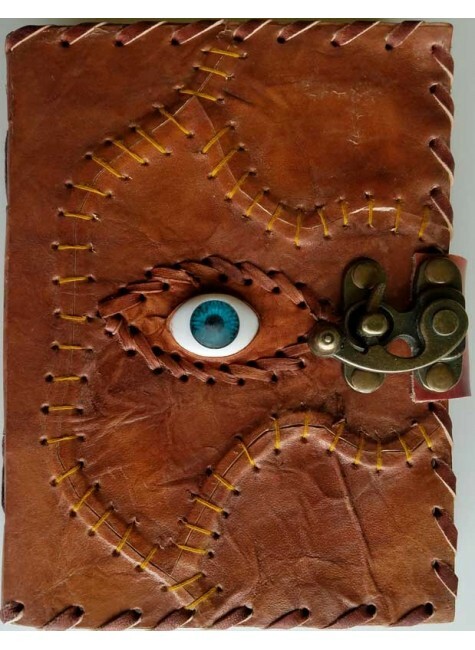 An attractive, embossed stitched, sacred eye journal with a binding wrap that overlaps under its front cover, with single metal bronze colored latch, for keeping its pages safe. Angled stitching around all outside edges, as well as the outside eye shape of its All Knowing Eye upon front center, surrounded by patterned stitch. The back cover and spine are interestingly tanned giving the appearance of a leathered wood grain. 120 heavy wt. pages, 5" x 7", (made from goat leather). Item Number: AA-BBBL742 | Approximate Size (Inches): 5.00 wide x 1.00 deep x 7.00 high | Approximate Shipping Weight: 1.00 lbs.